Did you know that advanced digital technologies can help grade school and high school students become better prepared for college and careers? Graphing calculators are getting an enhanced look and feel, enabling students to solve the most challenging equations and enhance their understanding of math. For example, cutting edge calculators, such as fx-CG50, the newest model in Casio’s calculator portfolio, offer a three-dimensional graphing function that allows students to view their graph from various angles to better analyze their shape. Other new capabilities include cross-section and zoom functions for greater analysis. Students can also plot graphs over pictures of real-life scenes on a full color textbook-style display, making math education a more visual experience. These days, classroom style learning doesn’t always have to take place within the four walls of a physical classroom. Distance learning offers a greater number of people access to the same educational opportunities, and is made possible by new technologies. 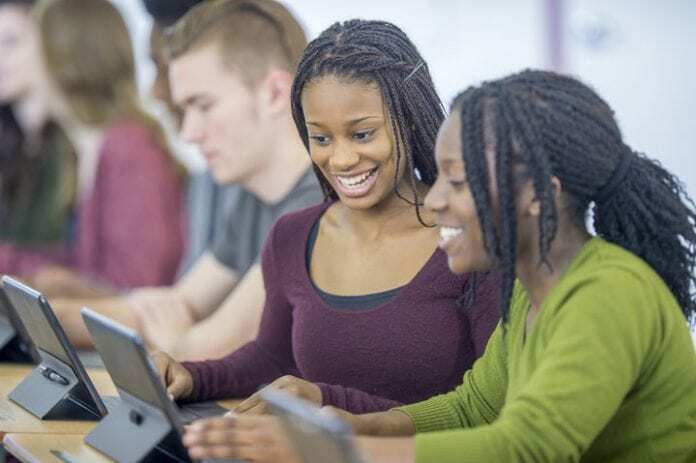 Educators and schools are embracing platforms like Blackboard and Schoology to help connect students with educational content 24 hours a day. These platforms also enhance traditional classroom learning. Known as blended learning, students still attend class, but can hone their skills and knowledge during off-hours at a personalized pace with technology-mediated instruction. Music education isn’t what it used to be, thanks to new technology and gear. For example, Chordana Play, a new app, can be linked with several Casio electronic keyboards as a learning tool for beginners and advanced musicians. The app displays notes graphically in real time, along with the correct keyboard positions for both hands. Users are welcome to import song data into the app and expand their repertoire over time. To learn more, visit CasioMusicGear.com. As technology evolves, enhanced tools and processes are changing the way educators teach and students absorb content. And these changes also are making teachers more efficient, enabling greater freedom for students to benefit from a more personalized approach to learning.